Democratic government has now been entrenched in Poland. An increasingly significant European actor, Poland presents problematic but also stimulating challenges to new NATO and EU associates. 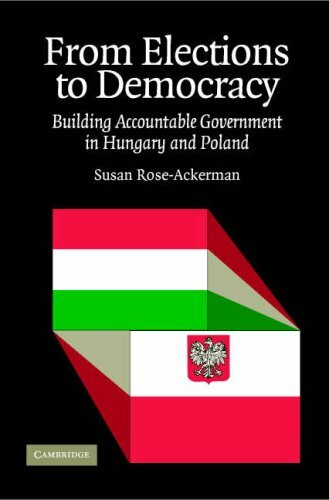 This authoritative overview examines in depth the constitutional and governmental framework in Poland since 1989 and its central political institutions, mechanisms, and actors. 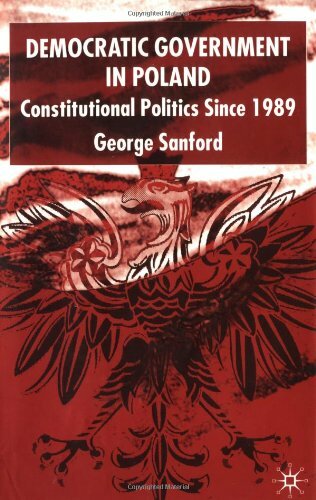 Sanford demonstrates how the governmental system evolved pragmatically during the 1990s to cope with modernization and consolidated viable independent statehood consensually around Poland's hardy constitutional values. 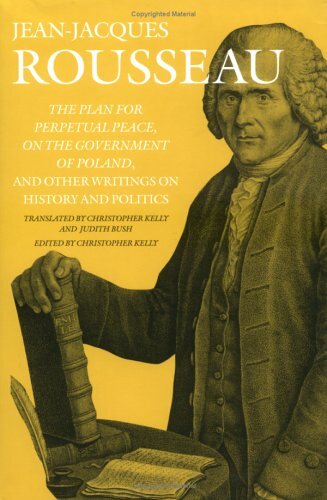 "COUNT WIELHORSKI'S1 description of the government of Poland, and the comments he has added to it, are instructive documents for anyone who wants to form a regular plan for the reconstruction of that government. I do not know of anyone better suited than he himself to work out such a plan, for along with the requisite general knowledge he possesses all that detailed familiarity with the local situation which cannot possibly be gained from reading, and which nevertheless is indispensable if institutions are to be adapted to the people for whom they are intended. Unless you are thoroughly familiar with the nation for which you are working, the labour done on its behalf, however excellent in theory, is bound to prove faulty in practice; especially when the nation in question is one which is already well-established, and whose tastes, customs, prejudices and vices are too deeply rooted to be readily crowded out by new plantings. Good institutions for Poland can only be the work of Poles, or of someone who has made a thorough first-hand study of the Polish nation and its neighbours. A foreigner can hardly do more than offer some general observations for the enlightenment, but not for the guidance, of the law-reformer. Even when my mind was at its best I would never have been able to comprehend the problem in all its ramifications. Now that I have nearly lost the capacity for consecutive thought, I must confine myself, if I am to obey Count Wielhorski and give evidence of my zeal for his country to rendering him an account of the impressions made upon me, and of the comments suggested to me, by the perusal of his work. 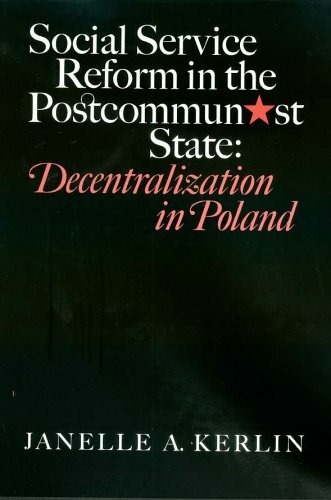 While reading the history of the government of Poland, it is hard to understand how a state so strangely constituted has been able to survive so long. A large body made up of a large number of dead members, and of a small number of disunited members whose movements, being virtually independent of one another, are so far from being directed to a common end that they cancel each other out; a body which exerts itself greatly to accomplish nothing; which is capable of offering no sort of resistance to anyone who tries to encroach upon it; which falls into dissolution five or six times a century; which falls into paralysis whenever it tries to make any effort or to satisfy any need; and which, in spite of all this, lives and maintains its vigour: that, in my opinion, is one of the most singular spectacles ever to challenge the attention of a rational being. I see all the states of Europe rushing to their ruin. Monarchies, republics, all these nations for all their magnificent institutions, all these fine governments for all their prudent checks and balances, have grown decrepit and threaten soon to die; while Poland, a depopulated, devastated and oppressed region, defenceless against her aggressors and at the height of her misfortunes and anarchy, still shows all the fire of youth; she dares to ask for a government and for laws, as if she were newly born. She is in chains, and discusses the means of remaining free; she feels in herself the kind of force that the forces of tyranny cannot overcome. I seem to see Rome, under siege, tranquilly disposing of the land on which the enemy had just pitched camp. Worthy Poles, beware! Beware lest, in your eagerness to improve, you may worsen your condition. In thinking of what you wish to gain, do not forget what you may lose. Correct, if possible, the abuses of your constitution; but do not despise that constitution which has made you what you are." Ever-changing election rules, a highly fluid party system, a constitution considered illegitimate by more than one major political actor, polarized political elites, and a system of corruption that has grown up together with the young democracy itself -- these characterize contemporary Polish politics. 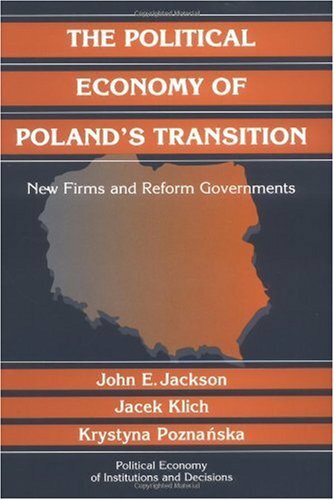 At the same time Poland is frequently identified as the most successful example of a transition from communism to capitalism, having led this series of world-changing transitions. It has distanced itself from a turbulent history as pawn in Eastern Europe's international politics to become a leading candidate for membership in the exclusive European Union club. 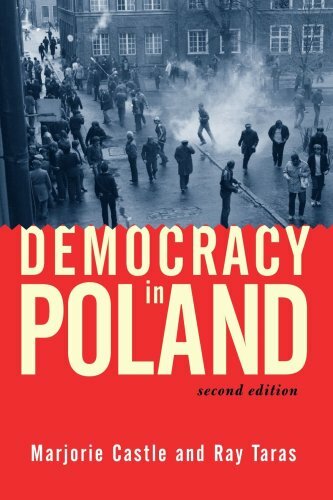 As Polish democratic politics evolves it is taking unexpected forms and producing equally unexpected results.Through a comprehensive analysis of politics in this young European democracy, Marjorie Castle and Ray Taras explain the complexity and uncertainty of political processes and outcomes in Poland. Poland'spast -- the flawed Second Republic established after World War I, as well as the imperfect independence in the Soviet shadow following World War II's devastation -- dramatizes the unique historic opportunity it was given in 1989 to determine its own political future and perhaps eventually become a major European power. Choices made in 1989 and thereafter would not only construct a new democracy but shape and limit its possibilities. The primary focus here is on contemporary politics: what the fundamental political cleavages are, whether parties adequately represent popular interests, who the political elites are and what games they play, whatinfluence the Catholic Church still holds in an aspiring Western-style secular republic, and what policy challenges face Poland in the future. Inimitable political leaders, changing political arenas, and complexpolicy-making processes come to life through a fascinating narrative characterized by an insider's insight. From the Middle Ages until World War II, Poland was host to Europe’s largest and most vibrant Jewish population. By 1970, the combination of Nazi genocide, postwar pogroms, mass emigration, and communist repression had virtually destroyed Poland’s Jewish community. Although the Poles themselves were subjected to enormous cruelties in the twentieth century, questions about the extent of their antisemitism and its role in the fate of Polish Jewry are today hotly disputed. 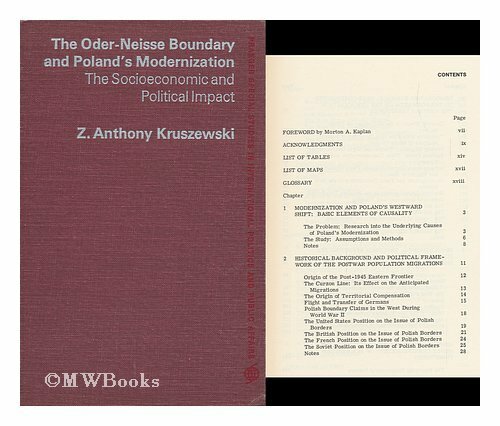 Antisemitism and Its Opponents in Modern Poland serves as an effective guide to some of the most complex and controversial issues of Poland’s troubled past. 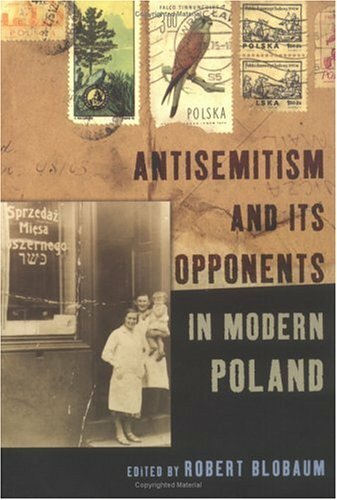 Fourteen original essays by a team of distinguished Polish and American scholars explore the different meanings, forms of expression, content, and social range of antisemitism in modern Poland from the late nineteenth century to the present. The contributors focus on both the variations in antisemitic sentiment and those Poles who opposed such prejudices. When an independent Poland reappeared on the map of Europe after World War I, it was widely regarded as the most Catholic country on the continent, as “Rome's Most Faithful Daughter.” All the same, the relations of the Second Polish Republic with the Church—both its representatives inside the country and the Holy See itself—proved far more difficult than expected. Based on original research in the libraries and depositories of four countries, including recently opened collections in the Vatican Secret Archives,Rome's Most Faithful Daughter: The Catholic Church and Independent Poland, 1914-1939presents the first scholarly history of the close but complex political relationship of Poland with the Catholic Church during the interwar period. Neal Pease addresses, for example, the centrality of Poland in the Vatican's plans to convert the Soviet Union to Catholicism and the curious reluctance of each successive Polish government to play the role assigned to it. 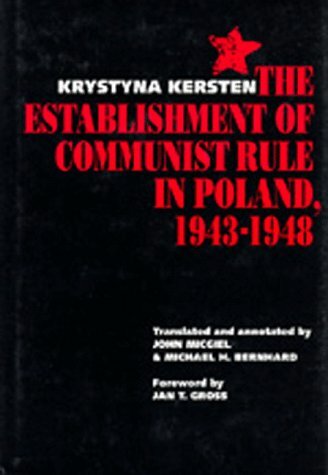 He also reveals the complicated story of the relations of Polish Catholicism with Jews, Freemasons, and other minorities within the country and what the response of Pope Pius XII to the Nazi German invasion of Poland in 1939 can tell us about his controversial policies during World War II. For all of the closeness of Poles and Catholicism during the Communist era, this closeness was not as pronounced during the interwar era. A notable feature of this work is the inclusion of information seldom mentioned anywhere else. For instance, we learn that Roman Dmowski was irreligious most of his life, and did not join the Church and receive his First Holy Communion until 1937 (p. 137), which was near the end of his life. Even then, he probably remained an atheist. (p. 84). Pilsudski was also not particularly religious. (p. 175). Contrary to those who are obsessed with Polish anti-Semitism, and accuse Pease of excusing it, he does no such thing. He merely tries to rationally understand it, realizing that it is fallacious to see Jews as scapegoats: "...the Church harbored not only bigots, but also advocates of toleration who urged protection of this vulnerable minority. In addition, Christian attitudes and rhetoric regarding Jewry should not be considered in isolation, as often happens, but rather in the context of the widespread belief that the Jews were just one part of a general modernist assault on Catholic morality and society; an enemy, to be sure, but by no means the only or even the worst enemy." (p. 118). Nor is Fr. Kolbe merely excused by the fact that the publication of anti-Semitic articles took place while he was out of the country. Kolbe scolded his journalists for their anti-Semitic zeal. (p. 123). In any case, all this brouhaha about Kolbe is misplaced. Pease should have noted that non-flattering portrayals of other religions were a common, if not universal, feature of pre-ecumenical times. In fact, the publication associated with Kolbe also wrote unfavorably of Protestants and other non-Catholics. See the Peczkis review of: Mary's Knight: The Mission and Martyrdom of Saint Maksymilian Maria Kolbe. Finally, any objective discussion of anti-Semitism must recall the fact that prejudices went both ways: Traditional Jewish teachings against Christ and Christians were at least as hostile as Christian teachings against Jews. How many Jewish publications, at the time, contained articles unfavorable to Christianity? Pease accuses the Church of wanting it both ways: Speaking out against Jewish conduct and then condemning the animosities and outrages against Jews that this presumably incited. (p. 119). This is a non-sequitur. Speaking out against somebody is not synonymous with encouraging violence against them. 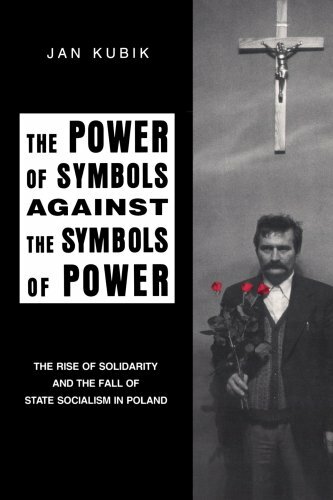 Also, considering the fact that Jewish authors and journalists have been writing much ill against Poland since time immemorial, could it not equally be said that this materially contributed to an atmosphere of little regard for Poland, facilitating such outcomes as the Teheran-Yalta betrayal of Poland? The author has a fine analysis of Freemasonry. (p. 115-on). He adds: "As a student in Rome in 1917, he [Kolbe] was shocked and galvanized by the antireligious brazenness of a massive Masonic demonstration outside the Vatican walls, and resolved to dedicate his life to converting the sworn enemies of Christ." 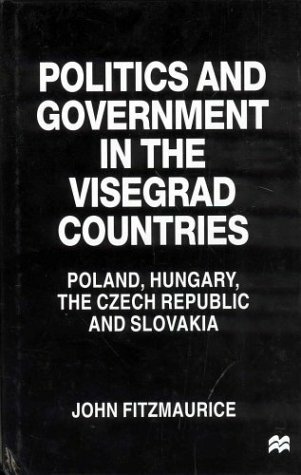 (p. 122). Not mentioned is the fact that not only Catholicism, but also some branches of Protestantism, had regarded Freemasonry as fundamentally incompatible with Christianity, if not actively anti-Christian. Interestingly, Pease realizes that the frequently-combative attitudes of the Church had a rational foundation. 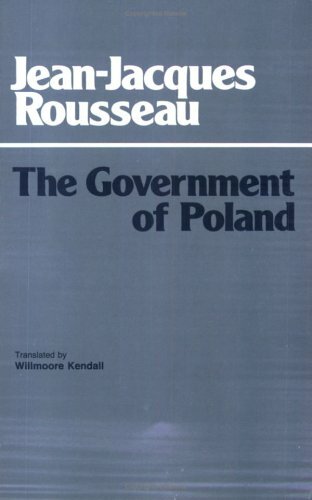 He writes: "After all, on the whole, Masons and politically active Jews did support the laicization of Polish education and society, and the noticeable Jewish presence in the Polish Communist movement was axiomatic...The difference was that the threats in other lands were distant or theoretical were in Poland seen as immediate and tangible." (p. 112; see also p. 124). Pease includes a chapter on the beginnings of WWII. The conduct of Pius XII must be kept in perspective: "Often overlooked is the fact that the papal `silence'--if it can fairly be called--in response to the Shoah was preceded and foreshadowed by the analogous and painfully cautious reaction of the Holy See to the German assault on Catholic Poland that touched off the Second World War." (p. 195). Neal Pease has done a good job documenting the relationships between newly independent Poland, the Vatican, and the Polish Church. I enjoyed reading of the diplomatic machinations and skullduggery of the three principles in their attempts to further their own particular agendas. Pease has done some superb research. 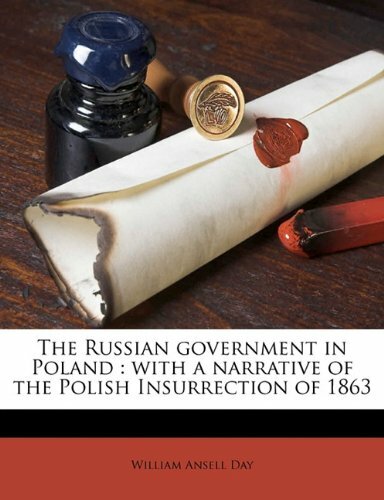 I've read a lot of Polish history but was completely unaware of several of the intrigues presented in this volume. Unfortunately, this book has a glaring flaw. Even a casual student of interwar Poland is aware of the Polish Church's strong support of the anti-Semitic National Democratic Party (Endecja). While Pease does acknowledge the church's affinity for the Endeks, in the chapter devoted to the "enemies" of Catholic Poland the author gives Jewish-Catholic relations short shrift with a paltry six pages and much of that is used to defend the church. Pease's viewpoint is, yes, the Catholic Church's attitude towards Jews was hateful and despicable but, oh well...next topic. It's as if Pease is trying to placate both historical accuracy and his Polish American readership, who, as we all know, do not readily tolerate charges of anti-Semitism. The author goes to great lengths excusing the anti-Semitism of former Polish Primate, Cardinal Hlond. Yes, I've read Hlond's "On Christian Moral Principles" and the cardinal is let off the hook much too gently. Pease's defense of St. Maksymilian Kolbe is patently absurd. Kolbe's publishing house regularly produced pamphlets along with the extremely popular daily newspaper, Maly Dziennik (Little Journal), that were filled with anti-Semitic vitriol. Pease absolves Kolbe of any responsibility by claiming "he was out of the country on missionary work for extended stretches." And I have a bridge over the Vistula to sell you, Neal. For an extremely candid evaluation of Kolbe's rabidly anti-Semitic newspaper, Maly Dziennik, see Catholic theologian Ronald Modras's "The Catholic Church and Antisemitism, Poland, 1933-1939." 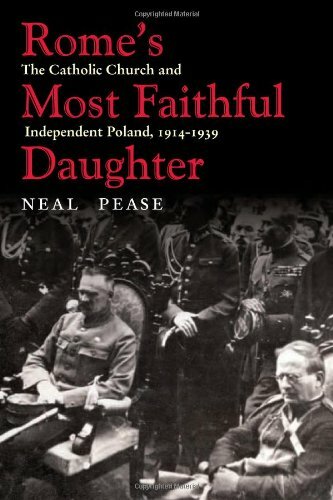 Pease's calculated decision to play to his audience and minimize the overshadowing significance of Polish Catholic anti-Semitism during the interwar years in proportion to other topics is most revealing and dishonors historical accuracy. Outside of this elephant-in-the-middle-of-the-room sized flaw, I did enjoy Rome's Most Faithful Daughter. "...the Church's complicated and problematic relationship with the National Democratic movement and the entire right wing of Polish politics is dealt with in a very cursory manner." Well, what do you know? Looks like I'm not the only Polish American who doesn't toe the chauvinist-traditionalist line.